Usually a collector avoids double or triple items. But sometimes they lead to discoveries. 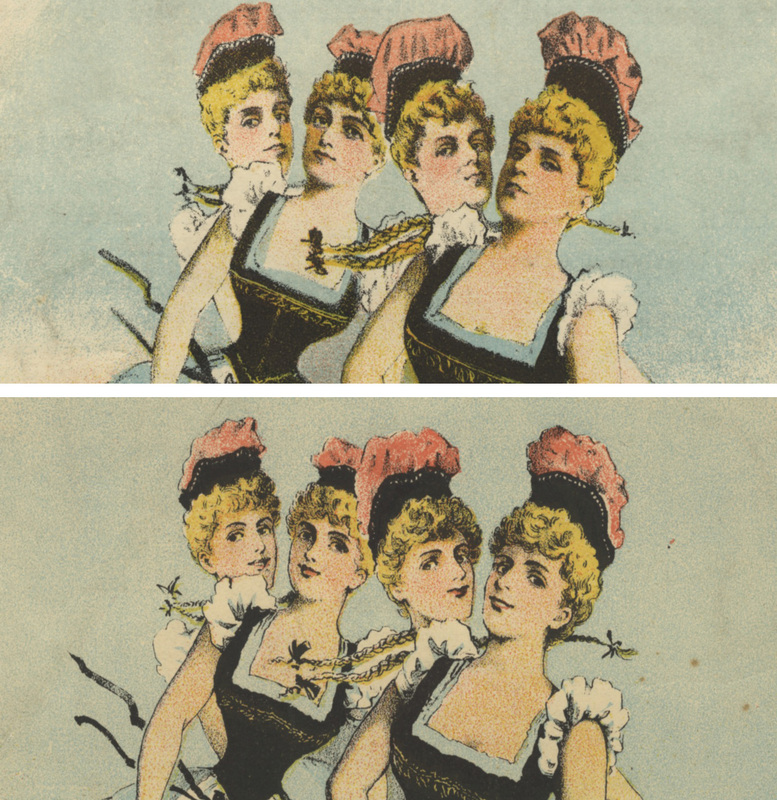 Did you know for example that in the 19th-century print shop it was common practice to apply what we could call lithoshopping on the limestone plate? Look for yourself. 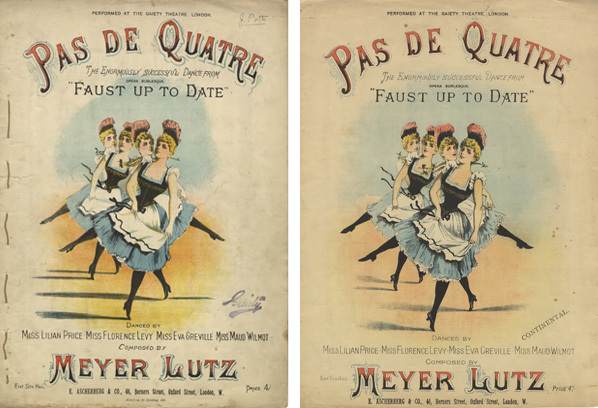 Two almost identical covers for the ‘Pas de Quatre’ dance. 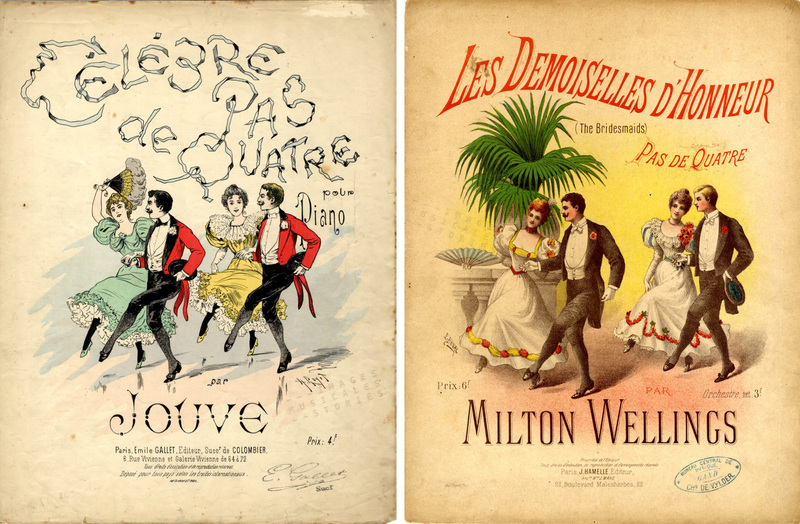 In fact, some publishers shamelessly recreated on the stone almost identical copies of the covers originally published in another country. 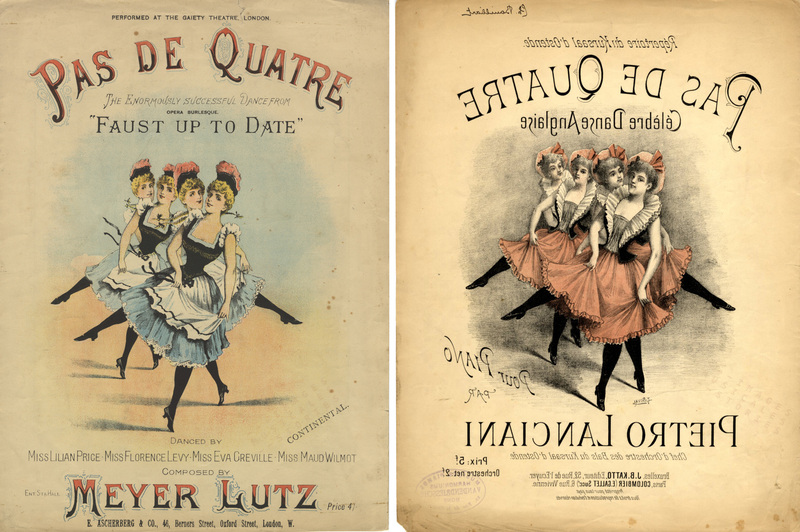 And then again, one Pas de Quatre is not the other Pas de Quatre, or is it? 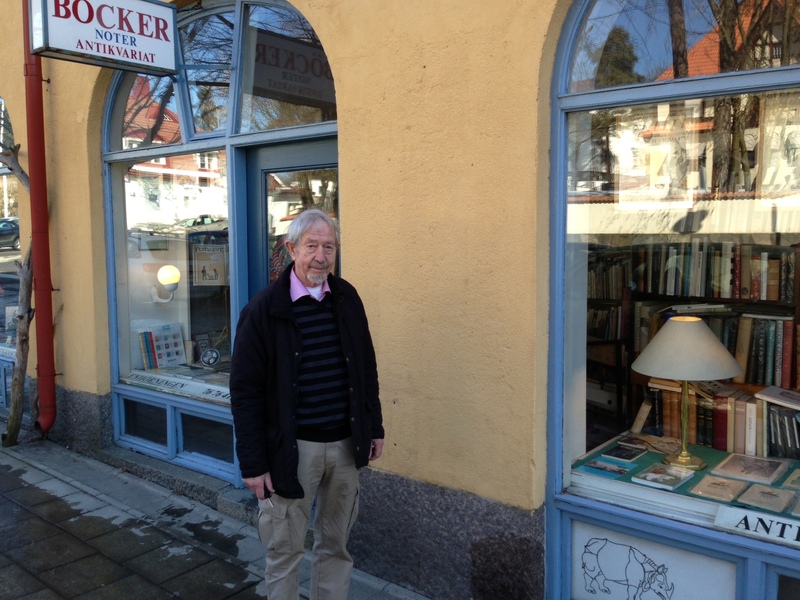 The probably largest, but certainly finest second-hand music antiquarian in Sweden had to close its shop. We have fond memories of Antikvariat Enhörningen and its owner Bo Löwenström. Here is a picture of Bo in front of his shop in 2013.